We walk into Skaramagas camp the largest in Greece, on a Wednesday afternoon. The Greek government, charged with running the camp, abandoned it months ago, so there is no security — no officials checking our passports. There are estimated to be around 2400 residents here currently, although nobody knows the official numbers. Around half are refugees officially registered with the UNHCR, the other half are unregistered refugees or migrants. Refugee-run businesses — restaurants, snack bars, even a barber shop, have sprung up at the edge of the camp along the water. 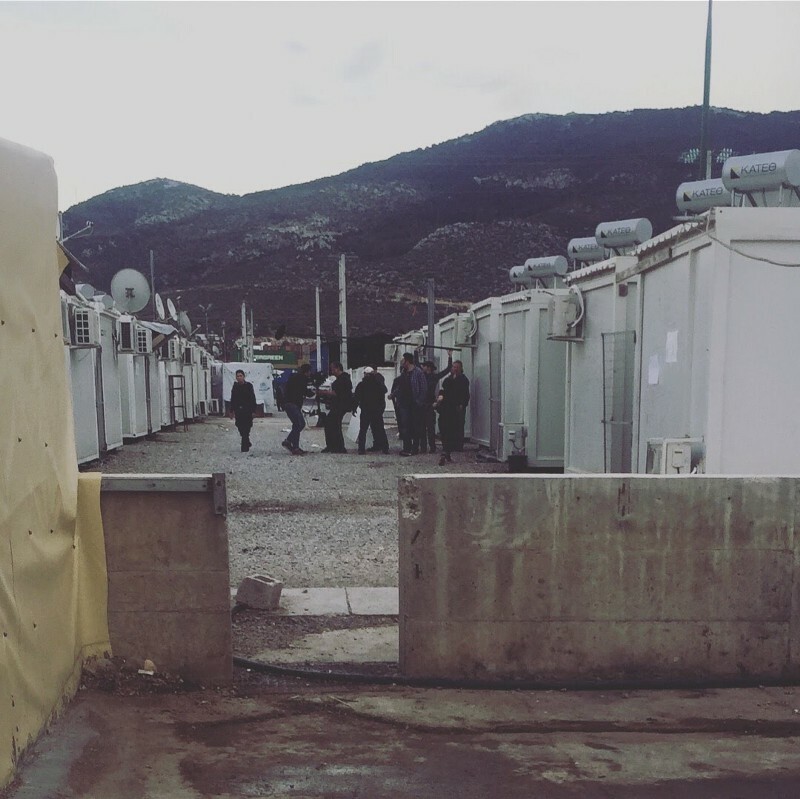 Living conditions here are considered to be better than in other camps in Greece — there are Isobox containers with running water, heat, and air conditioning. As a result, residents will often sell or rent their boxes to new arrivals when they leave. As we walk through the camp, a film crew appears — an Iranian film director has imported actors, cameramen, and assistants to film a movie right inside the camp. They shoo us and our hosts away — as non-refugees, we’re clearly injecting an inauthentic vibe into their “set.” They want the backdrop to be the real containers, the real refugees, not the real volunteers who work here every day. They have asked A Drop in the Ocean, one if the few NGOs left here, to cancel their activities — including exercise classes, so they can do their filming. Under normal circumstances this would never be permitted, as the filming clearly violates humanitarian ethics, but nothing about the current situation in Greece is normal. That’s the film crew in Skaramagas camp. One of the actors was a police officer, which provoked much laughter. “A police officer would never come to Skaramagas camp!” someone said. This is not a refugee crisis. Nearly three years after the exodus from Syria began, and two years after the EU-Turkey was signed, refugees in Greece have been largely forgotten, not only by international community, but also by the Greek government, which has literally (in the case of Skaramagas camp) and symbolically (in Lesvos and elsewhere) abdicated its responsibilities. Despite daily arrivals to the Greek islands, despite overcrowding in refugee camps on these islands, despite the deaths at sea and the rioting in the camps, the EU has determined that the refugee crisis is over. It’s a political decision with real-life implications: the withdrawal of funding from large international NGOs, who rely on government money to support their operations, has meant a near-total reduction in basic services across Greece. In Skaramagas, the recent departure of the Red Cross means that there is now no organization responsible for the procurement or distribution of diapers for the hundreds of refugee babies in the camp. Whose responsibility is it to care for and protect refugees? Across Greece, the provision of basic medical and psychosocial care, search and rescue operations, clothing, feeding, and the general protection and care of refugees is now falling largely to grassroots, volunteer-led organizations. Untethered from bureaucratic structures and from the need to go through cumbersome and time-consuming procurement processes, they have become the most effective aid groups in Europe, able to respond swiftly to the rapidly shifting demands of a fluctuating population with dynamic needs. 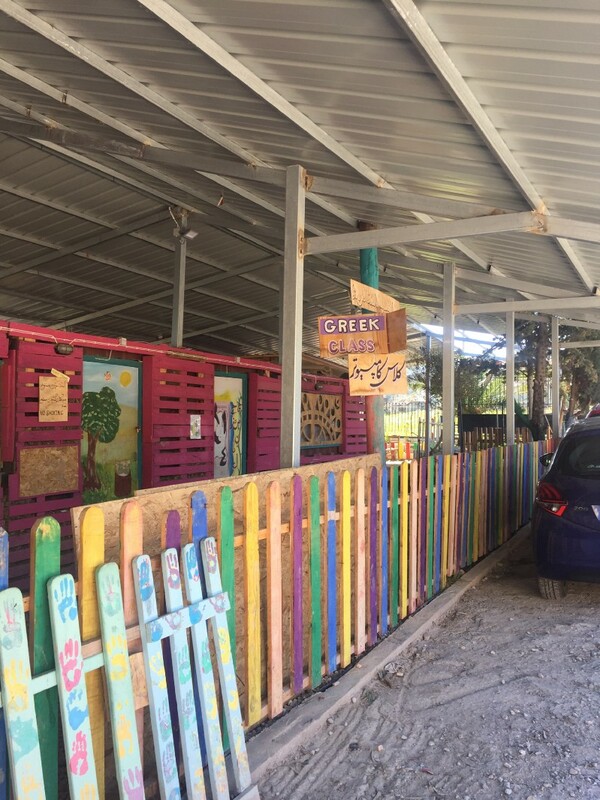 Some — like Refugee4Refugees — are refugee-run themselves, while others, like One Happy Family, a community center near Moria Camp on Lesvos, have been built with and managed by refugees and volunteers alike. This is a model whose values — of involving refugees in the provision of their own aid; and of dignity, choice, self-determination, efficiency and transparency — stand in stark contrast to the aging, 70+ year-old system dominated by a handful of large INGOs. It’s a promising evolution in the field of humanitarian aid. And yet, nearly three years on, these groups remain understaffed, under-resourced, and struggling to keep up with the endless needs of Europe’s most vulnerable arrivals. These groups are doing the work that Greece, large NGOs, and governments can’t — or won’t — do. And the worse the situation in Greece gets for refugees, the harder these organizations have to work to procure basic supplies. 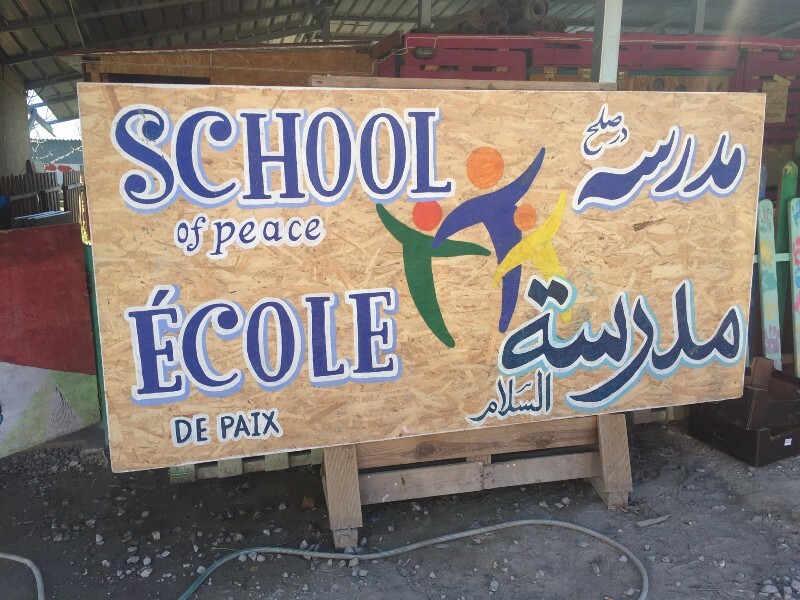 They rely entirely on private donations, on volunteers who drop in for two-week rotations, on supplies that arrive on containers from the UK or France or the United States. It’s a situation that at best feels untenable, and at worst feels like it is propping up Greece’s dysfunctional approach to refugee protection. The less the government does, the more these groups do, so the less the government does. The quantities of basic supplies these small organizations are providing is astonishing. One Happy Family alone needs $15,000 per month to be able to feed 800 people at its center. 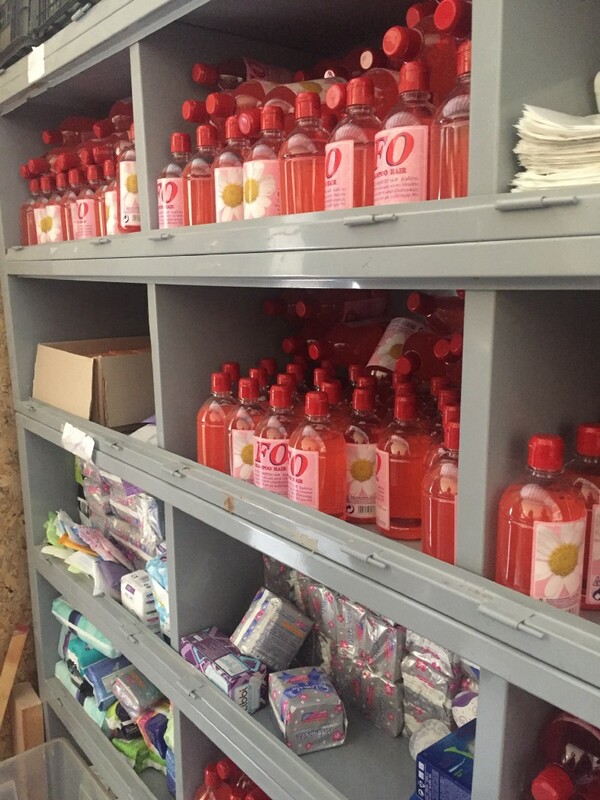 Refugee4Refugees hands out 300 bottles of body wash per day and an equal number of items of clothing to residents of Moria camp. Thousands of packages of diapers, containers of Vaseline, tons of fresh and dried food, first aid supplies, feminine hygiene products — all of these must be procured, day in and day out, by these tiny organizations, who do not have access to government funding, supply chains, staffing, or money that the larger NGOs have. It’s why my cofounder, Tasha Freidus, and I created NeedsList, and it’s why we’re here — to better understand the changing dynamics of the “crisis” and how groups and businesses are adapting. 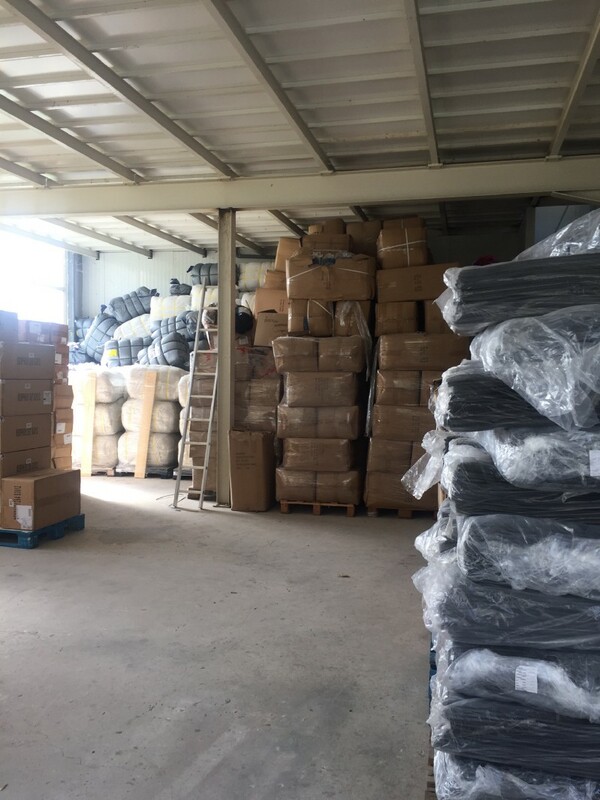 Shelves for hygiene products at Refugee4Refugees warehouse, across from Moria Camp. Whose responsibility is it to care for and protect refugees? Legally, of course, that responsibility is supposed to fall to states under international humanitarian law. But increasingly, we live in an era in which the uprooted have become, in the words of Hannah Arendt, superfluous. Nobody wants Europe’s refugees, least of all Europe. EU nations have made that abundantly clear in the barbed wire fences sealing off their borders, in the policies that seek to return children to war zones, in laws criminalizing volunteer humanitarian aid work, and in the camps that keep war refugees imprisoned in tents for years. 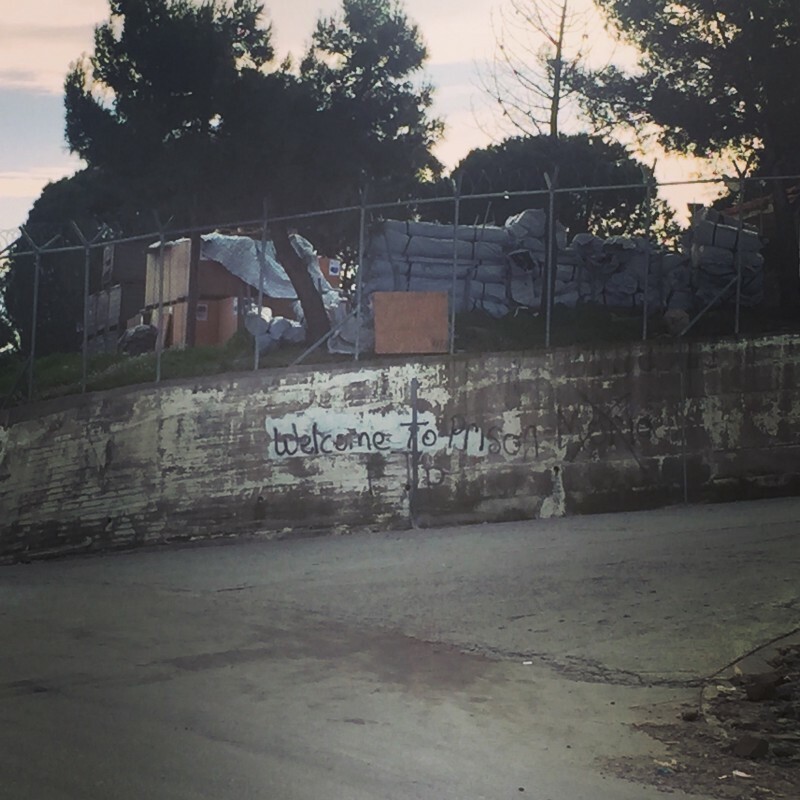 “Welcome to Prison,” reads the graffiti outside Moria Camp in Lesvos. Why do these volunteers do the work that they do? “Because we can,” one long-term volunteer told me, and that seems to be the prevailing ethos. In an era where demands of displaced people nowhere near match the resources available for their care and protection, these groups have stepped in to fill the gaps. What started as a refugee crisis has evolved into a complex moral, political, and existential European crisis with no end in sight. And so, morally, these groups know, the condition of refugees falls to all of us. We try to facilitate the best ways to help these groups — and the refugees they work with — through NeedsList, because we know people around the world want to help, but don’t know how, and they want to feel like their resources are being directed to efficient models. We’re proud of what we’ve been able to achieve over the past year and a half, but visiting Greece creates a feeling of urgency around an equally important goal. Humanitarian aid can help some people today, and again tomorrow. But it can’t forever. The refugee camps in Greece and elsewhere must be dismantled. These spaces of political failure and human misery serve the opposite purpose of protection; in warehousing fellow human beings, they debase us all. What is to be done? Hundreds of refugees still arrive weekly to the Greek islands. A coalition of larger NGOs recently put out a statement demanding the end to the policy of containment in Greece. Smaller NGOs should join together to do the same, as should the thousands of grassroots volunteers who have worked with refugees in Europe over the past three years. We are the people with citizenship in nation-states, with passports, with power, and with privilege. We can prop the system up, or we can shut it down.